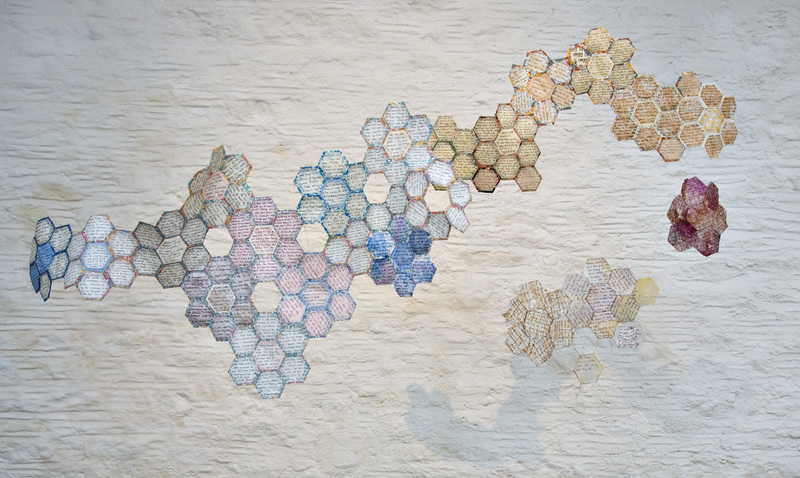 Tweave was created by Amy Houghton and Ed Holroyd and commissioned by Craftspace. 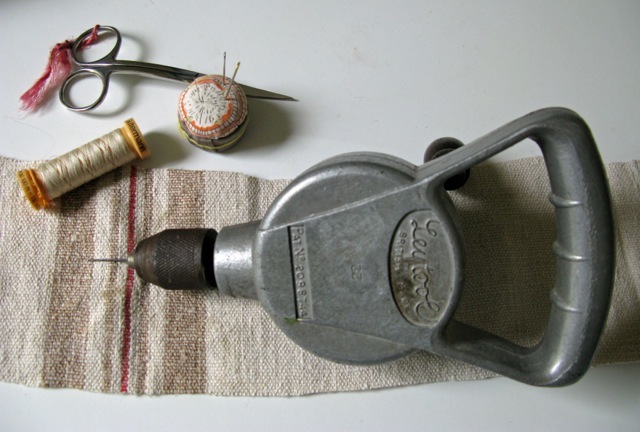 Tweave maps sound recordings of craft and making to create an evolving thread of sounds. 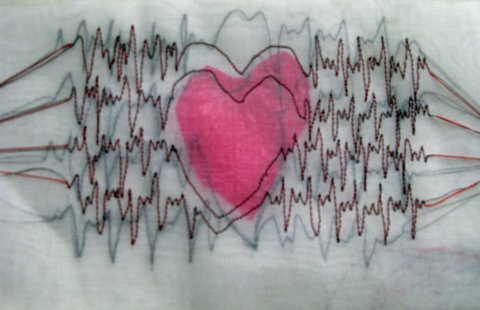 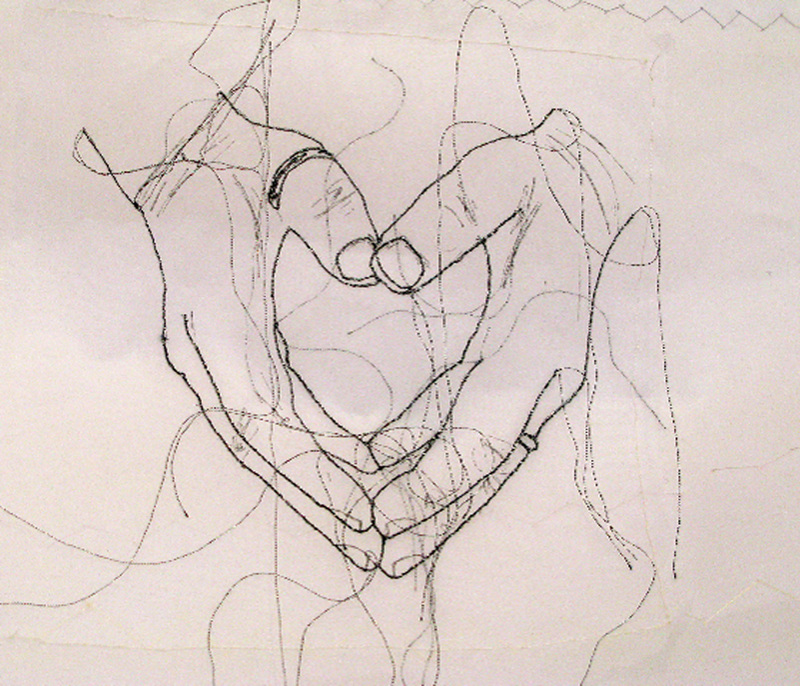 Do have a browse and a listen…..
Last year Amy made some recordings of me and my work – this one for today’s post relates to ‘a delicate rhythm’…..
My mother was dying. 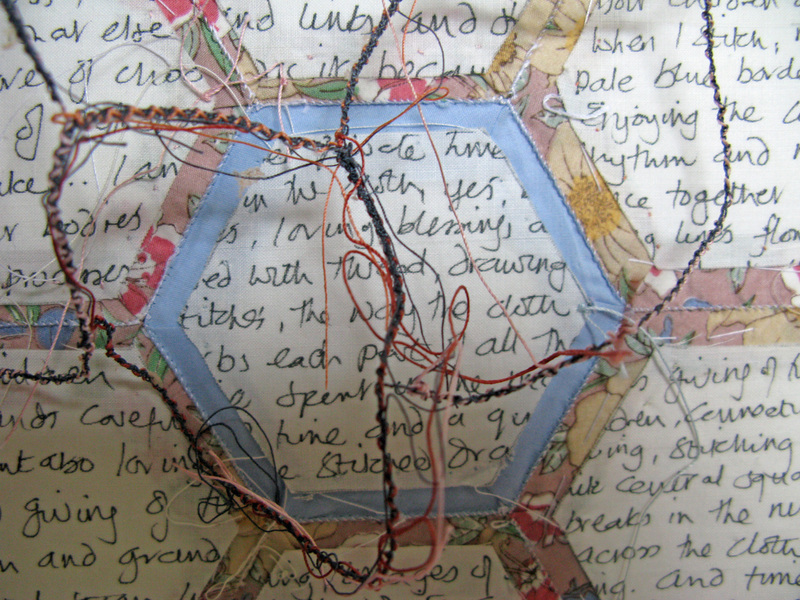 I was stitching. 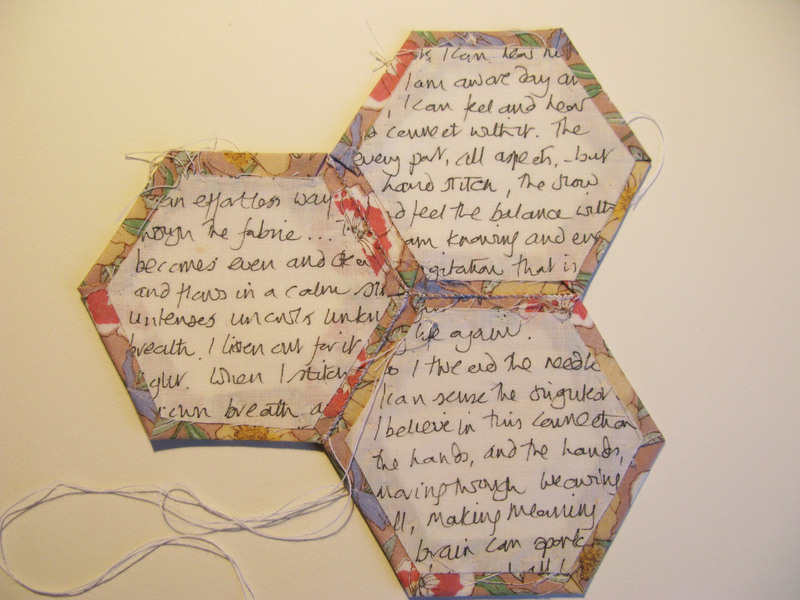 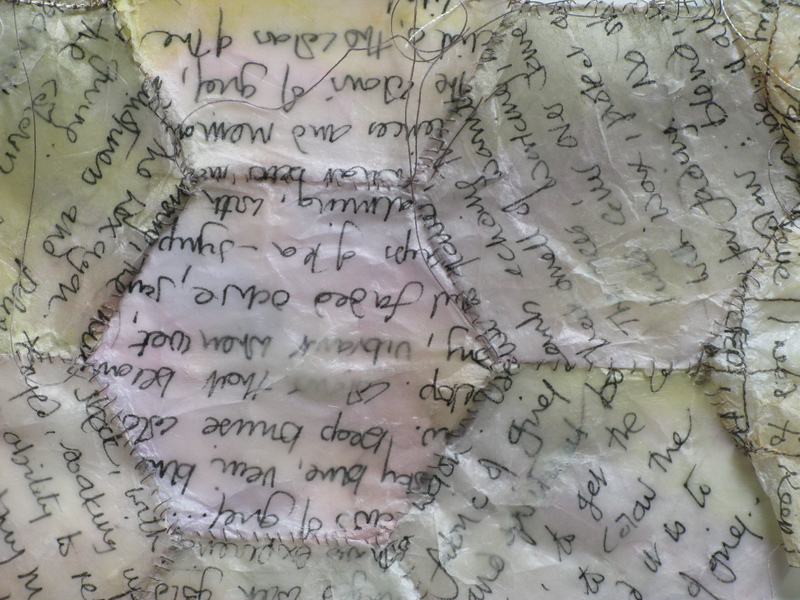 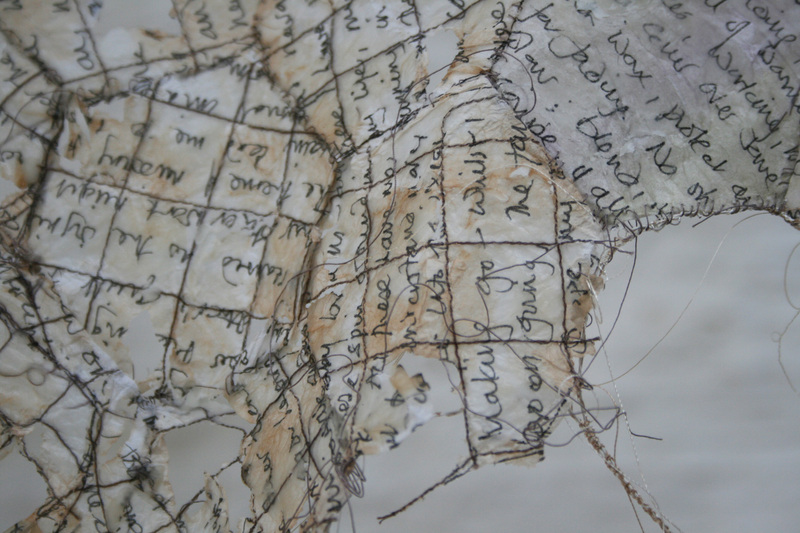 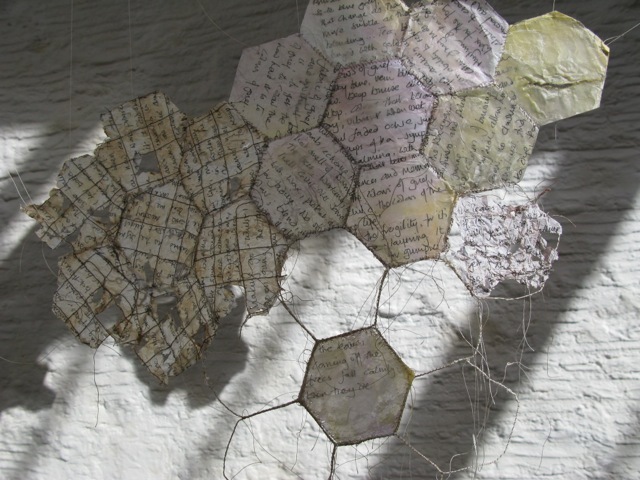 The pieces I am showing are from the fragments made by piecing fabrics and papers with reflections on the making and grieving process – some were stitched to the original hexagons of Liberty fabric, others were made from papers, wrapped wire, using stitch, dyes, wax. 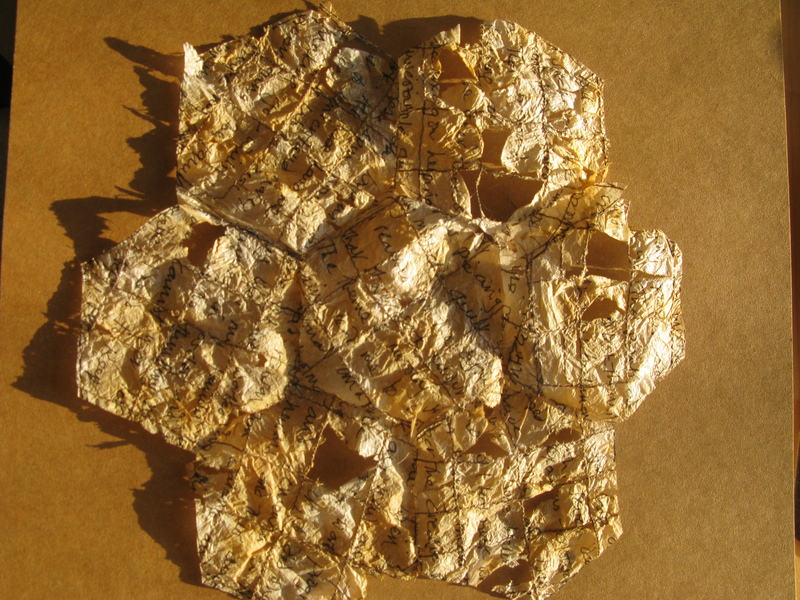 The above is in tea dyed tissue papers. 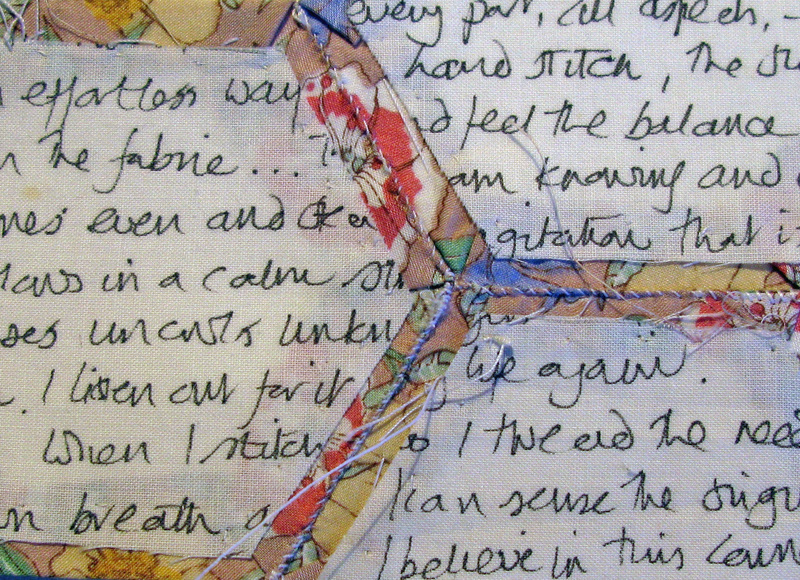 A treasured postcard with a sample attached and a request – Liberty Tana Lawn – just had such an evocative browse through those on the Liberty site – lots of memories! 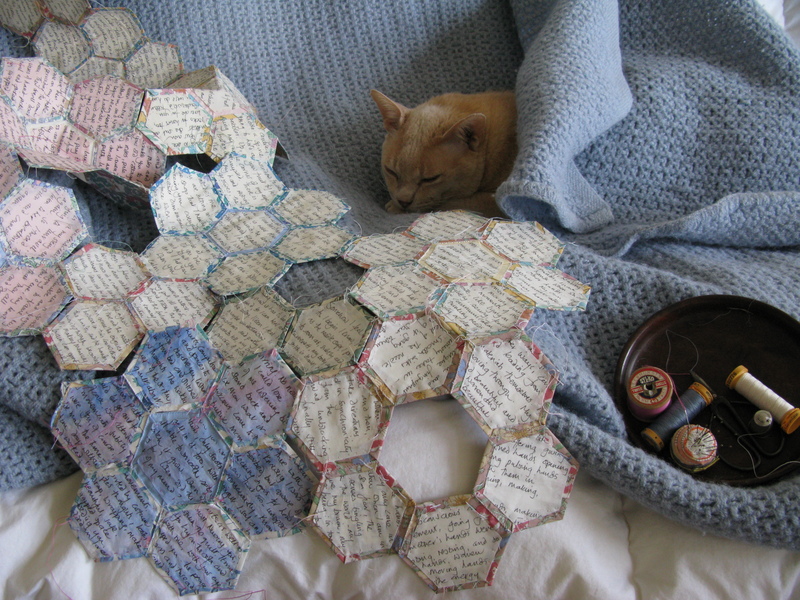 … and later – far later – an image of me making the second quilt. 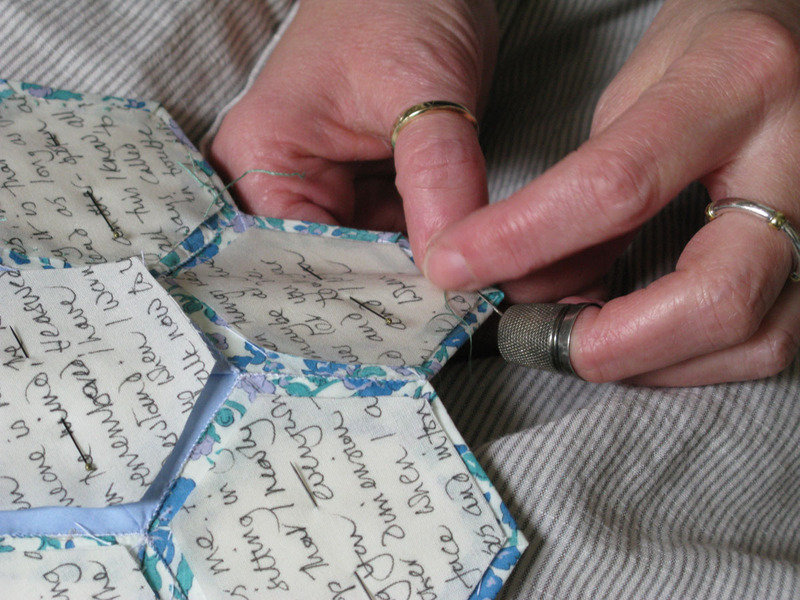 It started with my mother – making a Liberty print quilt – a hexagonal Granny’s Flower Garden Quilt. 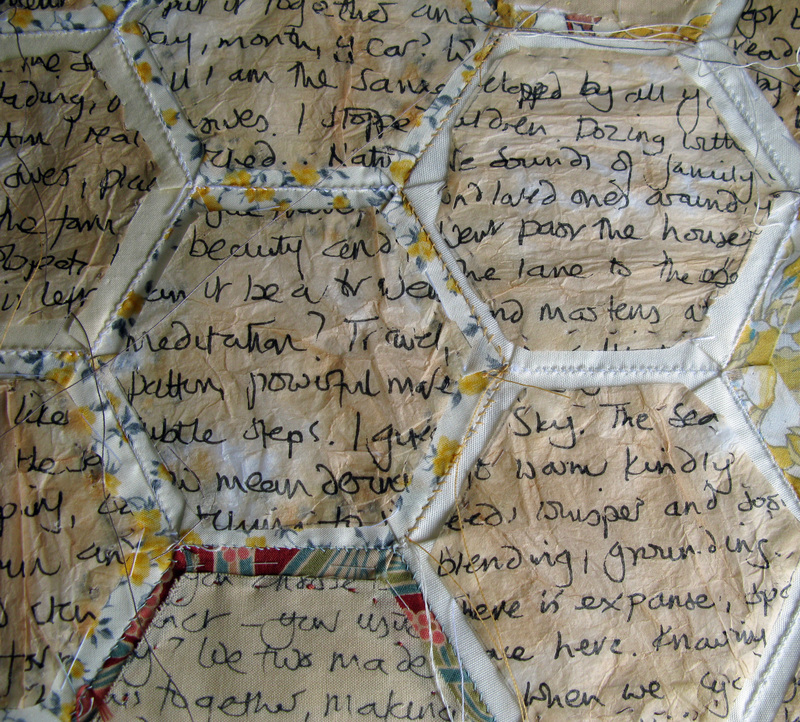 We had lots of carefully pieced hexagons and my mother had begun years ago to make up the quilt for her bed. 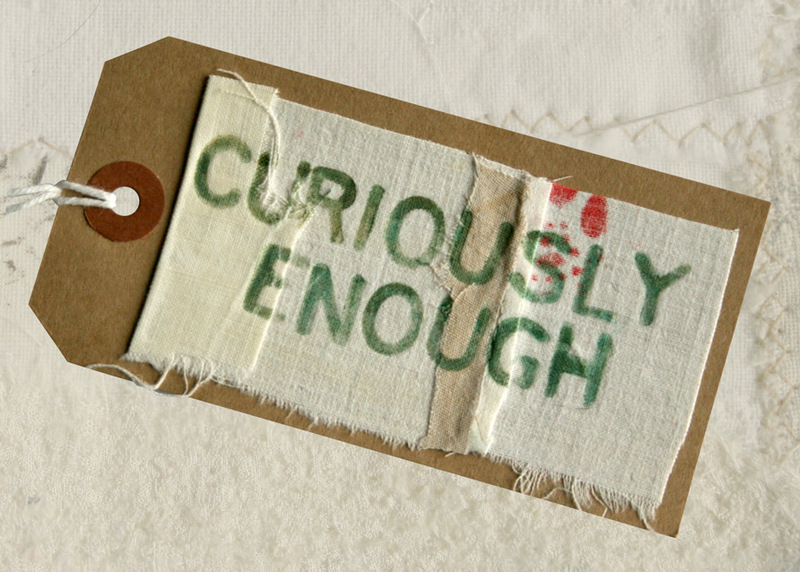 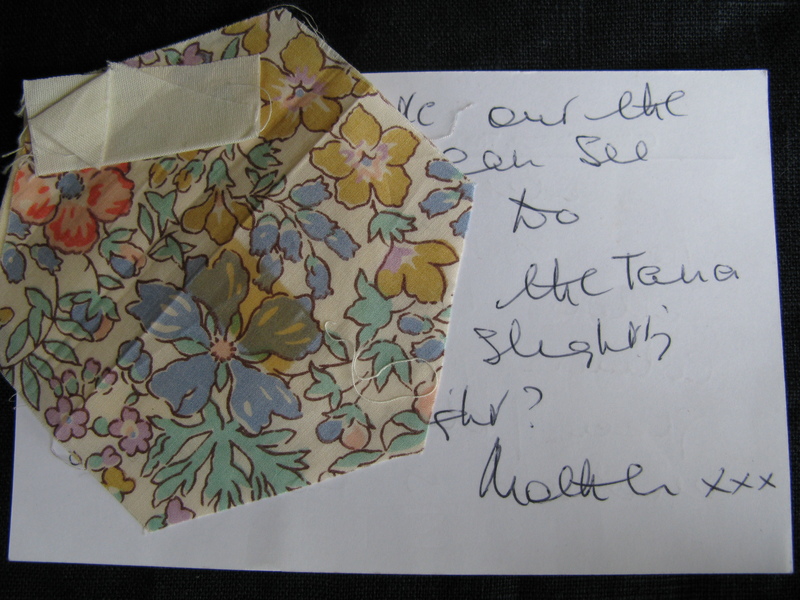 I remember seeking out fabrics for her, postcards arriving with scraps attached and requests. 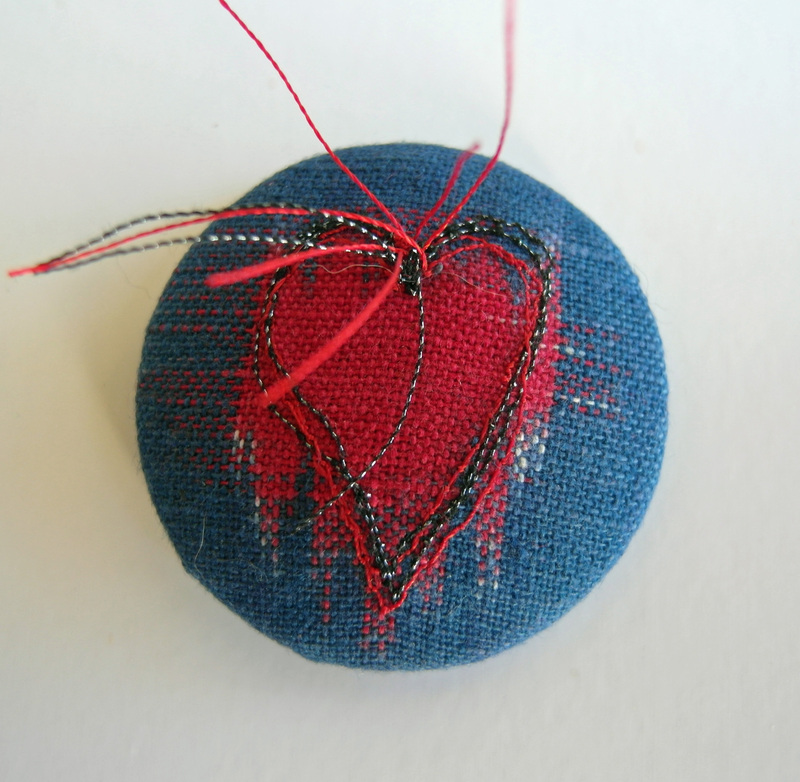 We found it carefully wrapped in a drawer and I suggested I stitch it for her as an Autumn project, sitting with her.